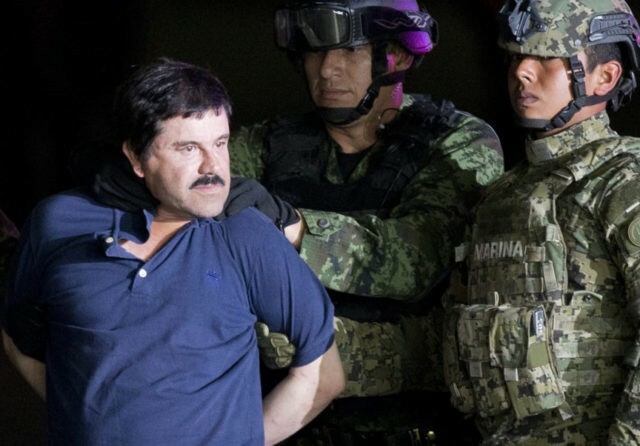 Mexican Cartel Kingpin 'El Chapo' Guzman Extradited to U.S.
A prepared statement issued on Thursday afternoon from Mexico’s Foreign Relations Ministry announced the extradition that took place on Thursday. Known as “El Chapo”, Guzman has been the leader of the famed Sinaloa Cartel–a criminal organization responsible for most of the drug trafficking in the country. Guzman is facing multiple charges in U.S. federal district courts in Texas, California, and Washington, D.C., that include money laundering, drug trafficking, conspiracy, and murder. A statement from the Department of Justice revealed that Guzman is already in the custody of U.S. law enforcement and is expected to make an initial appearance in the near future in connection with six federal indictments. Guzman had been trying to fight the extradition from Mexico by having his legal team file multiple appeals and injunctions; however various Mexican judges struck down each of the motions until the extradition was announced in May. As Breitbart Texas had reported, Mexico’s SRE had notified Guzman about an extradition agreement with the U.S. so the drug lord could face the pending charges in federal court. As part of the agreement, U.S prosecutors agreed not to seek the death penalty. The death penalty issue comes after the Western District of Texas filed murder charges against Guzman for his alleged role as the leader of the Sinaloa Cartel. The murder was part of a drug dispute where cartel gunmen kidnapped and murdered a U.S. citizen and two relatives. The victims of that hit were Rafael Morales Valencia, Jaime Morales Valencia, and Guadalupe Morales Arreola, who were believed to be tied to the rival Juarez Cartel. The three men were kidnapped on May 7, 2010, during a wedding. Their bodies were found on May 10, 2010. At the time of the murders, Ciudad Juarez was going through a violent turf war between the Sinaloa and the Juarez Cartels. As Breitbart Texas has reported, Guzman became a major headline in July 2015 when he was able to escape a maximum security prison through a mile-long tunnel. After the escape, Mexican authorities arrested 23 prison guards and employees for their alleged complicity in the escape. Guzman had originally been captured in 1993 and was sent to Mexico’s Altiplano prison from where he escaped once before by hiding in a laundry cart. Guzman has been listed by Forbes magazine as a billionaire in their ranking of the world’s richest.